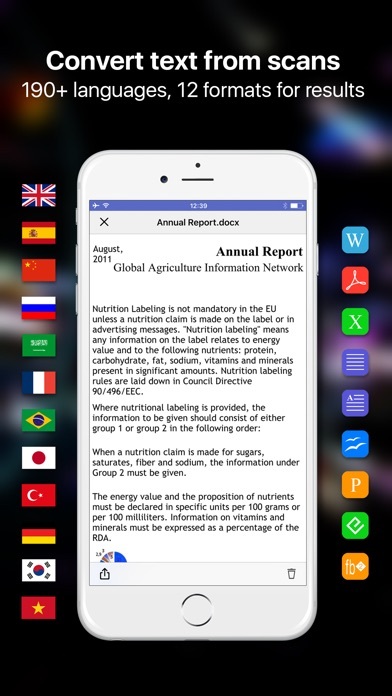 ABBYY FineReader iOS Client, a special app included in ABBYY FineReader subscription, turns your mobile device into a powerful mobile scanner that can capture and send documents for OCR in ABBYY FineReader Online service. 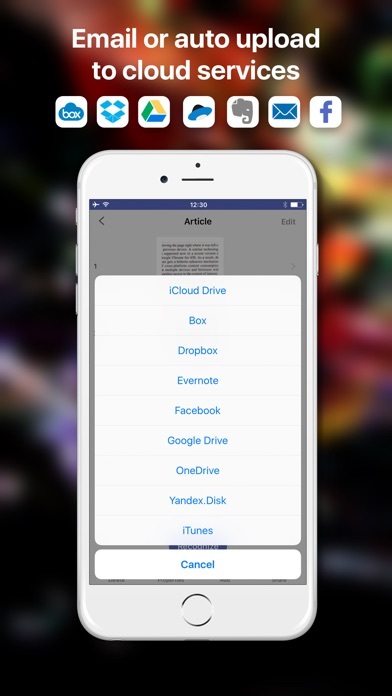 Use your iPhone/iPad with FineReader to digitize paper documents, agreements, receipts, magazine articles, books, notes and instantly convert them to editable Word, Excel, searchable PDF via cloud OCR. Ideal for both SMB and individuals. 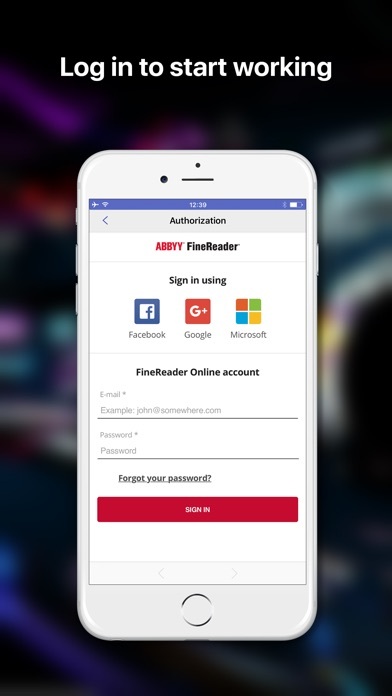 To start working with the app, you need to log in with your ABBYY FineReader account credential. ======================== KEY FEATURES • SCAN TO PDF & JPEG. Make a photo of printed text documents, adjust page boundaries and apply advanced image filters turning scans in color, greyscale or black-and-white modes. • CLOUD OCR. Send scans to ABBYY FineReader Online to convert them to Word, Excel, searchable PDF, and other formats. OCR is available in more than 190 languages (including Latin, Cyrillic, and CJK alphabets) preserving the original document structure and formatting such as lists, tables, headers, etc. (up to 100 pages per document). Results are available both in mobile app and web account of ABBYY FineReader Online (for 14 days). • ORGANIZE PAGES. 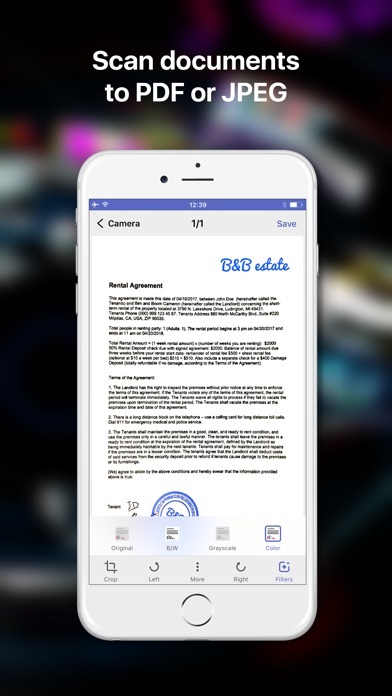 Add, delete, extract to another document and rearrange pages of scans captured with the app (up to 100 pages per document). • PASSWORD ON PDF. Add a password for files created with the App to export or send via email securely. • SHARE & EXPORT. Send results by email or auto upload in cloud storages - iCloud Drive, Dropbox, Google Drive, Yandex.Disk, Evernote and more; transfer docs to your Mac or PC using iTunes sharing. • AIRPRINT. 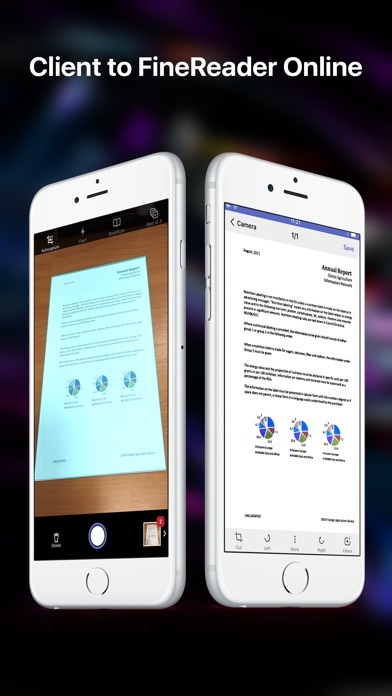 Print out scans directly from your iPhone or iPad. • ASSIGN TAGS. Save scans inside app with tags and search capabilities for faster access in a built-in docs storage whenever you need them. • 3D TOUCH & SPOTLIGHT. Access or find documents by pressing the app icon a little bit harder. Spotlight Search allows you to find any scans from iPhone home screen. ======================== Do you like ABBYY FineReader client? Please leave a review! Thanks a lot!